Established in 1988 by visionaries within the Asian Sepaktakraw Federation (ASTAF), the International Sepaktakraw Federation (ISTAF) is the undisputed international governing body for the sport of Sepaktakraw, recognised as such by the Olympic Movement. Officially based in Thailand and with its Secretariat in Singapore, ISTAF has benefited both from a healthy continuity of leadership and from the incredible drive displayed by its executive. Under the stewardship of ISTAF President, Maj. Gen. Charouck Ariracharakan, and its long-serving Secretary General, Dato’ Abdul Halim Kader (often described as the hardest-working man in the sport), ISTAF has today grown to represent over 30 member associations, and a budding international Sepaktakraw community throughout Europe, Oceania and the Americas. Under ISTAF’s expert guidance, Sepaktakraw has enjoyed medal-sport status at the South-East Asian Games since 1965, and uninterrupted medal status at the Asian Games since 1990. 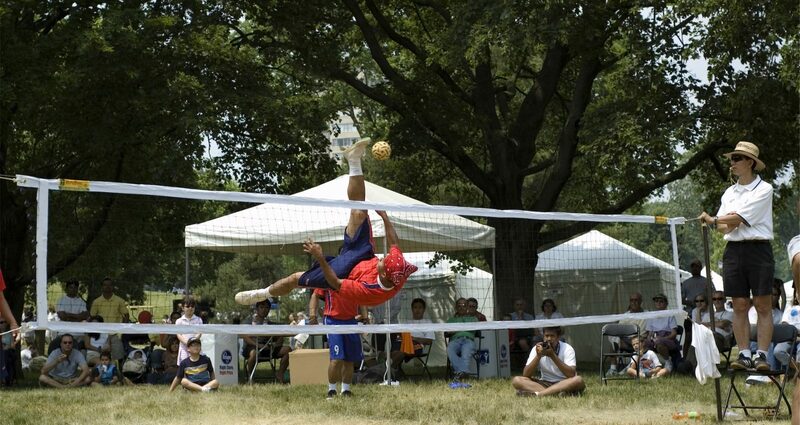 It was also introduced as a demonstration sport at the 2009 World Games in Chinese Taipei.